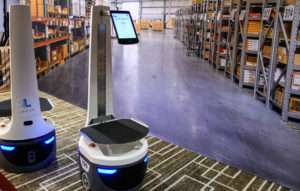 DHL Supply Chain is to invest $300 million to accelerate the integration of emerging technologies in 350 of its 430 facilities in North America. The selected technologies will vary based on customer needs, outcomes of research and DHL’s innovation pilot programs and collaboration with external innovators. The integration of technologies is to help DHL’s diverse customer base, including e-commerce and omni-channel challenges, and meets DHL Supply Chain’s global digitalisation strategy. “This investment is about a holistic view of emerging technologies that enables our customers to achieve their growth and profitability goals,” said DHL Supply Chain North America CEO Scott Sureddin.